Expand your sales with the geolocation feature on Nomalys ! By using the intelligent and contextualized geolocation feature, your sales team can stay focused on the closest business opportunity and in doing so, maximize each tour. Did you know that each time a sales person stops off somewhere, it is equivalent to the company spending 400 € ? Time is money ! 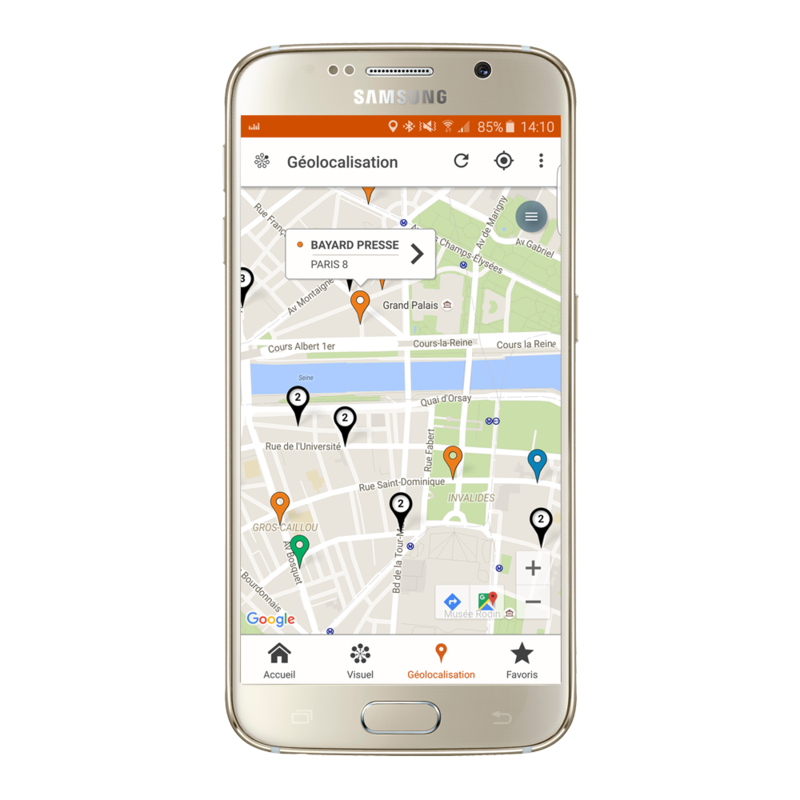 Give your sales representatives the means to optimize their travel using the intelligent geolocation feature on the Nomalys mobile app. If your appointment is cancelled, postponed or shortened, it’s not a problem with Nomalys, you simply seize the next opportunity ! Color codes to distinguish customers, leads and suspects. By calculating in real time the shortest and most effective route. Geolocate the nearest opportunity in just a click. Veolia Propreté was looking for years for a mobile solution. Nomalys is the only company to satisfy our requirements in terms of consistency, performance in the field and data security. The graphical navigation is incredible ! The visualization star around the customer or the person sought is a real bonus : it gives an excellent panoramic view and is very easy to use.